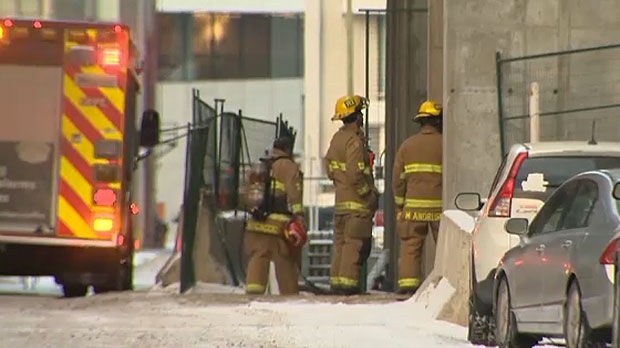 Five people were taken to hospital after a carbon monoxide leak was discovered at a construction site in the city’s southeast on Wednesday morning. Emergency crews were called to a building in the 600 block of 7th Avenue S.E. at about 7:15 a.m.
One man was found unconscious in a construction office in the parkade and investigators suspect a portable heater in the office may be to blame for the leak. Officials say carbon monoxide levels in the office were as high as 400 parts per million and that 25 people were evacuated from the area. CO can overcome a person quickly and can result in mental confusion, vomiting, loss of coordination, loss of consciousness and even death. The site has been ventilated and Occupational Health and Safety is investigating. Fire crews were called to a carbon monoxide call in the city's southeast on Wednesday, November 7, 2018.